Early during the spring semester, the UNI Nonprofit Leadership Alliance Student Association requests proposals from nonprofit organizations to engage students in a consulting project regarding the work of the organization. We seek consulting projects that will benefit students in learning research skills and various aspects of nonprofit management, as well as projects that will benefit the partnering organizations and their beneficiaries by informing practice through potential findings. Requests for Proposals for the 2018-2019 consulting partnerships will be due no later than March 15, 2019. The groundwork for research projects will begin during the spring semester. Data collection and the compilation of results will be conducted the following fall semester. Each fall, the UNI Nonprofit Leadership Alliance Student Association requests proposals from nonprofit organizations who have a service partnership idea. Through these partnerships, groups of students provide service to our partner organizations, including assistance in planning and implementing events, delivering programs, and improving and/or developing new resources. These partnerships not only infuse resources into the organizations but also provide our students with unique, hands-on learning experiences as they continue to broaden their understanding of the work of nonprofit organizations. Requests for Proposals for the 2018-2019 service partnerships will be available on our website by August 1, 2018, and will be due no later than October 19, 2018. While partnerships are selected in the fall, the majority of the service provided is carried out by students during the spring semester. Each spring we host the Nonprofit Explore-A-Ganza, a networking event which brings together students and organizations to talk about volunteer opportunities, internships, jobs and general professional advice. This event is typically held in March. Nonprofits can register through the Cedar Valley Nonprofit Association. 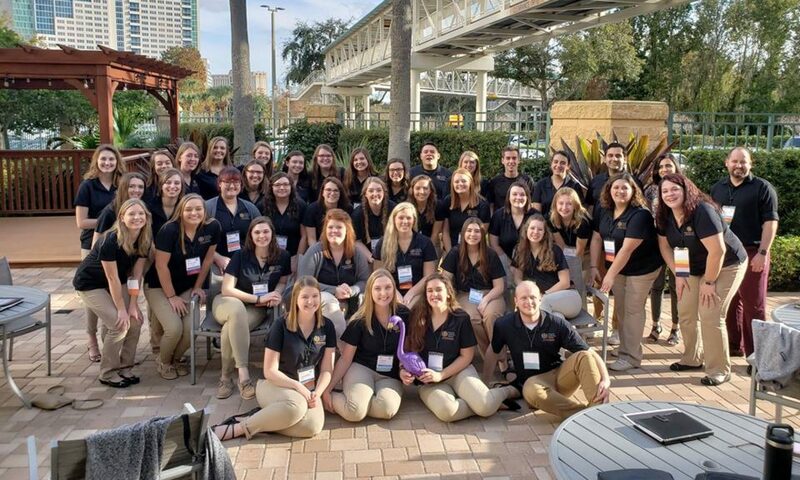 Our Student Association provides opportunities for students to connect with nonprofit professionals to learn about their work, their perspectives, and knowledge of the sector. If you are interested in sharing your expertise within the nonprofit sector with our students, please contact Kristina Kofoot at kristina.kofoot@uni.edu. There are Nonprofit Leadership Alliance students graduating each year. As student’s approach graduation, they are required to complete a 300 hour internship at a nonprofit organization. If you are interested in having a Nonprofit Leadership Alliance student intern at your nonprofit organization or are looking for potential employees, please send your position description to Kristina Kofoot at kristina.kofoot@uni.edu. Our Student Association has a NLA ListServe and UNI CNP Alumni ListServe. If you would like to share job, internship and/or volunteer opportunities as well as other professional development opportunities with our students, please send an email to Dr. Julianne Gassman at julianne.gassman@uni.edu or Kristina Kofoot at kristina.kofoot@uni.edu. Please indicate which ListServe you would like your information to be sent to!